Could Church Attacks in Chechnya Be the New Norm? 05/29/2018 Washington, D.C. (International Christian Concern) – The Republic of Chechnya lies between the Caspian and Black Sea in Russia’s far southwest corner. 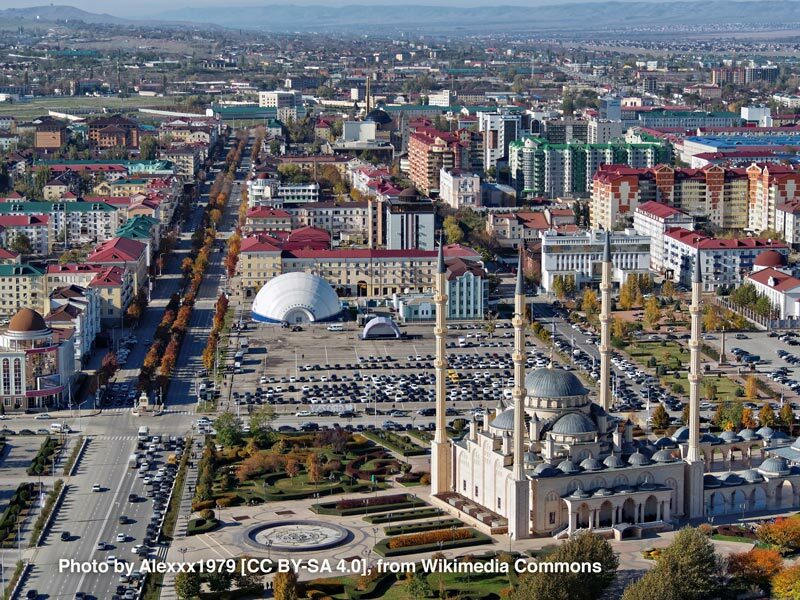 Its capital city Grozny, nearly destroyed in the Second Chechen War (1999-2000) and rebuilt from scratch, recently experienced an attack that has left the Christian community shaken. On May 19, 2018, four gunmen attacked the Russian Orthodox Archangel Michael Church in Grozny. At least seven people were killed including one church goer, two police officers, and all four attackers. Two other officers and another church goer were hospitalized after the attack. Churchgoers: “If the side door was open, they would [have] shot us from the back..."
A source told ICC that about 10 churchgoers had gathered in the center of the church for services. The church’s side door was locked, but the front door was open. “If the side door was open, they would [have] shot us from the back,” said the source. During the service, congregants heard people yelling “Allahu Akbar.” Unsure of what was happening, two church members rushed to close the front door. They barely made it. The attackers’ bullets hit thick oak doors. Only a few broke through, but they were enough to kill one and injure another. Before the police arrived, the attackers broke one of the church’s windows and tossed a bottle, likely a Molotov cocktail, into the church. Fortunately, it didn’t explode. Soon the gunfire redirected toward the incoming police forces. After a brief firefight, all was quiet. The injured parishioner was taken to the hospital with a damaged lung. He remains there in “stable but serious condition,” according to an ICC source. ISIS used its news agency Amaq to claim responsibility for the attack: “Islamic State fighters executed an attack on ‘Michael’ Church yesterday in Chechnya’s capital, Grozny.” Church members said there was no warning of the attack, and some think the actual target was a Chechen administration building. High levels of security at the building, however, altered the attackers’ plans. No one knows for sure. The Chechen government responded by opening a criminal case, and the head of the government, Ramzan Kadyrov, said that attempts to disrupt public activity would not be tolerated. It seems improbable that ISIS and other extremist groups would reappear in Chechnya. But the country is than 1,000 miles from the Iraqi border, and many men and women from Chechnya’s primarily Muslim population have traveled to Iraq and Syria to train with ISIS. The trainees are returning home as ISIS continues to lose land. ICC’s source believes that the security situation is deteriorating in Chechnya and is fearful that similar attacks could become a more regular occurrence. Chechnya’s leaders say they are trying to find the trainees and family members as they return in hopes of monitoring them. Sometimes they are arrested. As the Caucasus and Central Asia region try to navigate the return of members of various extremist groups, pray for Christians like those in Grozny. Pray for God’s protection and for Christians not to lose hope, especially the ones from Archangel Michael Church.